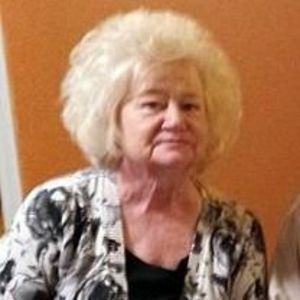 Evelyn C. Johnson, 71, of Statesville went home to be with the Lord on August 9, 2017 unexpectedly. Born July 8, 1946, she was the daughter to the late George and Foda Hope Connolly. She retired from Mitchell Gold Furniture in Taylorsville. She enjoyed cooking and spending time with her family. In addition to her parents she is preceded in death by her loving husband of 53 years, Gerald D. Johnson; grandson, Brent Johnson and two brothers, Jerry and Harvey. Those left to cherish her memory is her son and daughter-in-law, Jimmy and Diane Johnson; sisters, Marie (Tim) Moore, Carolyn (Leon) Bowman and Sandra (Tony) Daniels; brother, Eugene (Mary) Connolly and many other loving family members. The family will receive friends Friday, August 11, 2017 from 6-8pm at Bunch-Johnson Funeral Home. The funeral service will be held on Saturday, August 12, 2017 at 11am in the Westmoreland Chapel of the funeral home with Rev. Tony Daniels officiating. Burial will follow at Iredell Memorial Gardens. Memorials donations may be made to Susan G. Komen, Dept. 41831 P.O. Box 650309 Dallas, TX 75265.